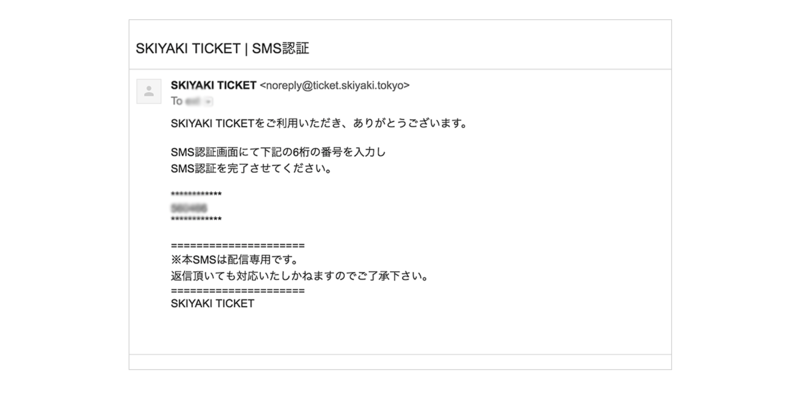 What is a Secondary ticket? 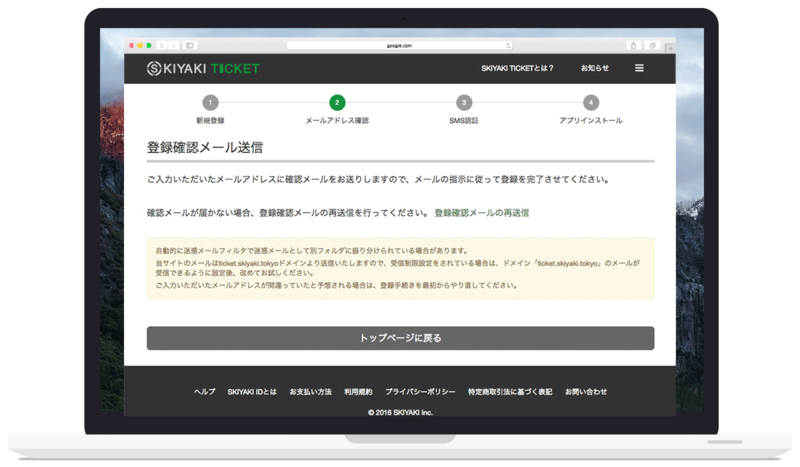 Start a new service! 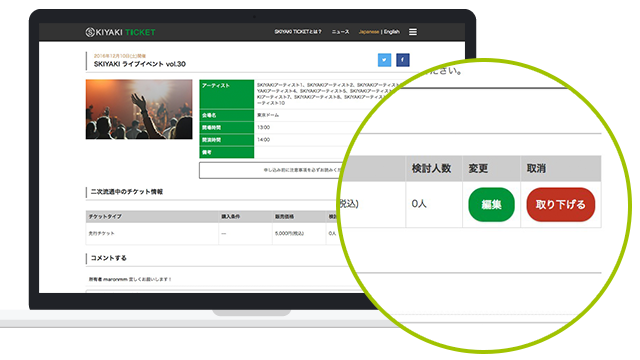 It is!Delivery of VR live is decided! 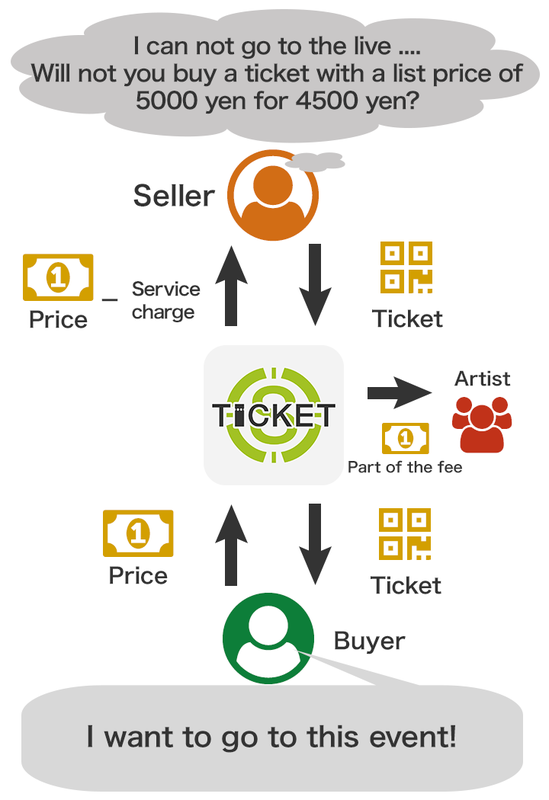 Transaction of secondary ticketsDecide the price, exhibition! 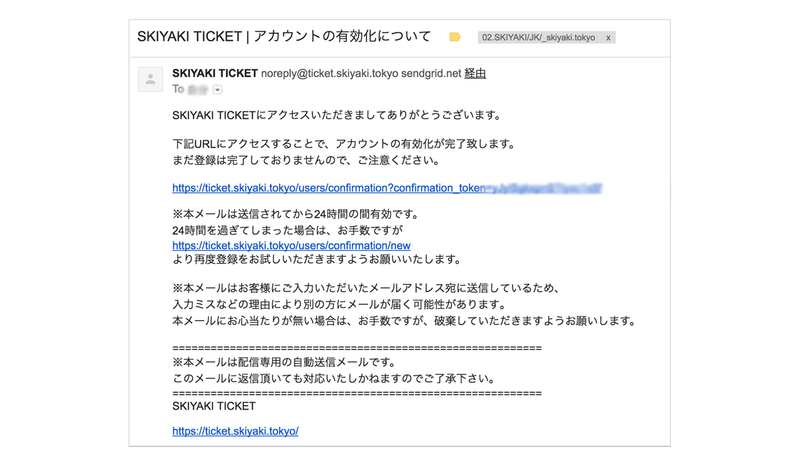 Over !! 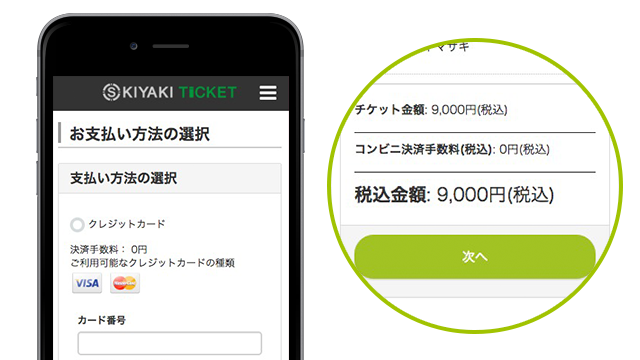 Easy deal! 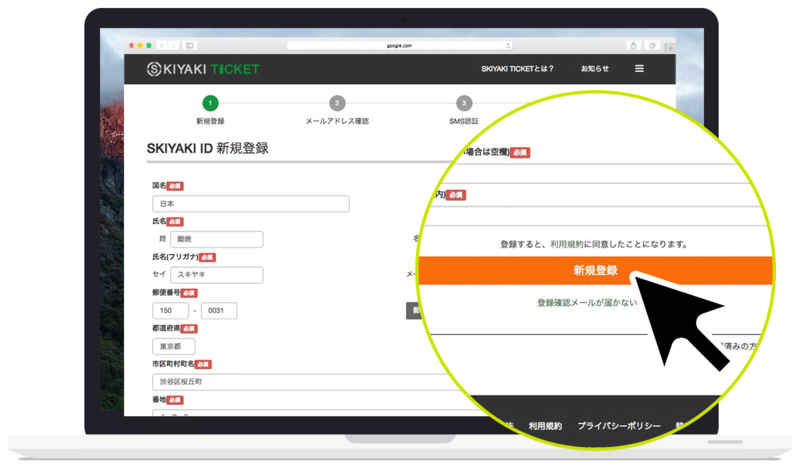 You can purchase or use the service after registration. 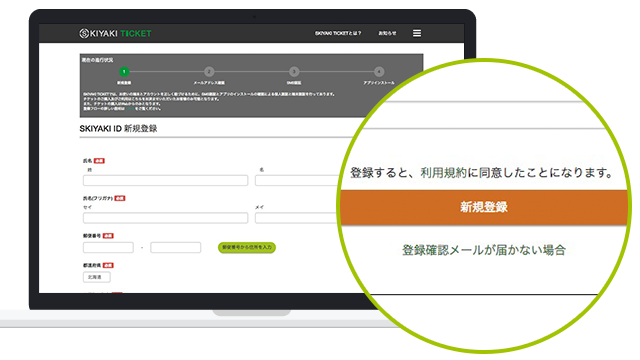 After you enter the information, click the URL in the email for complete the registration. 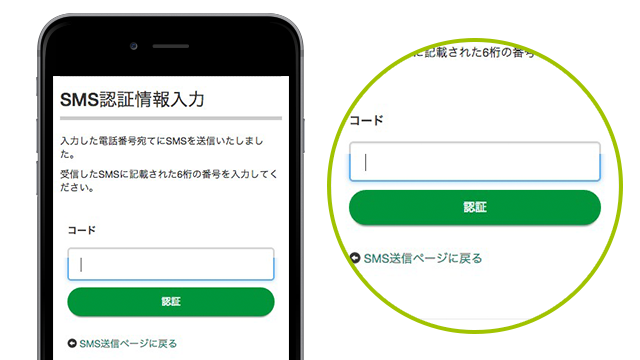 Enter the phone number to receive SMS. 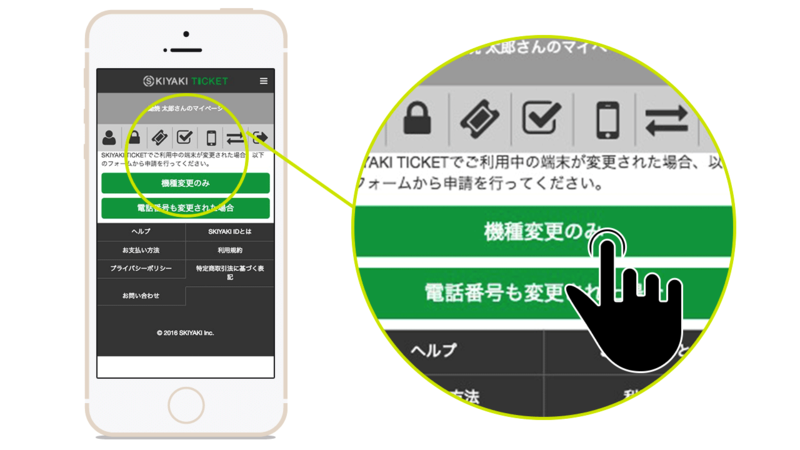 You cannot use this service without a mobile device. 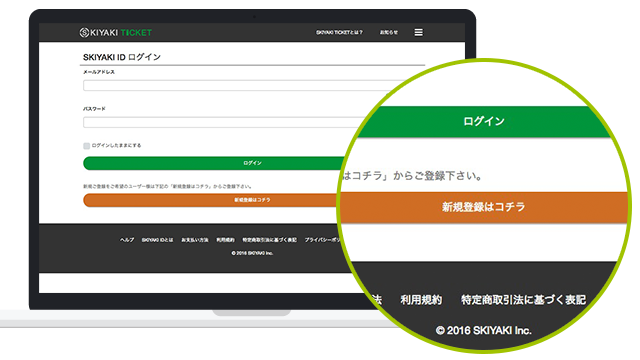 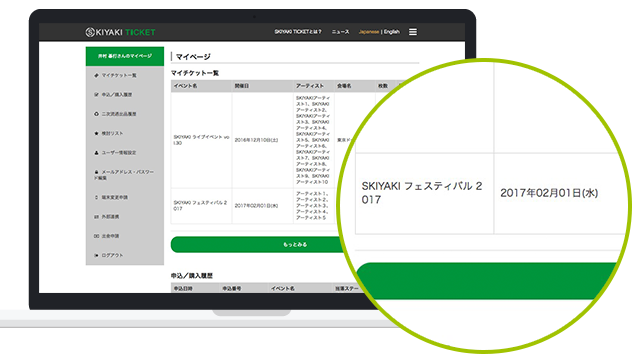 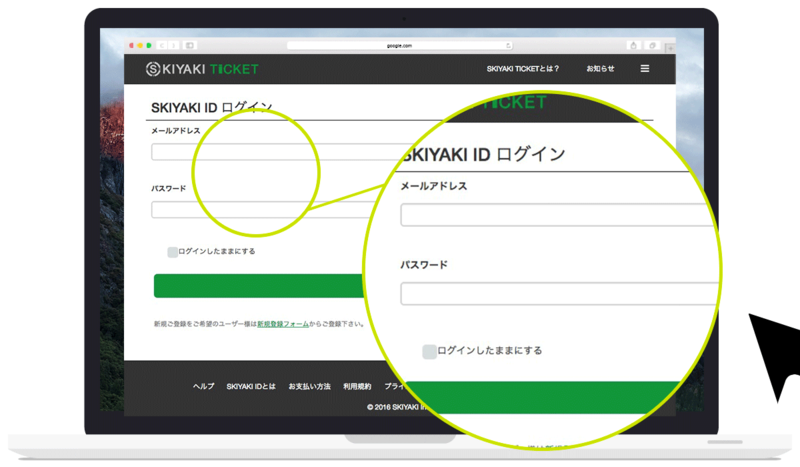 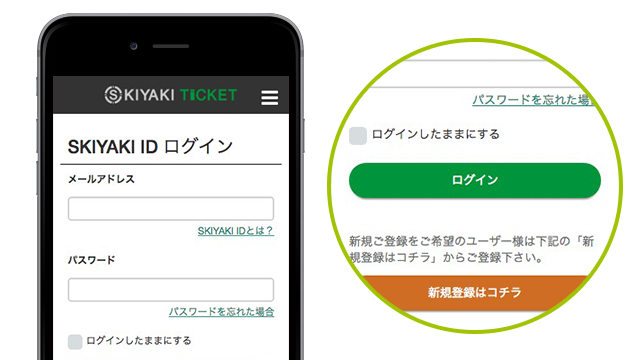 Sign in with SKIYAKI ID you registered with the app installed. After signing in, click the button below. 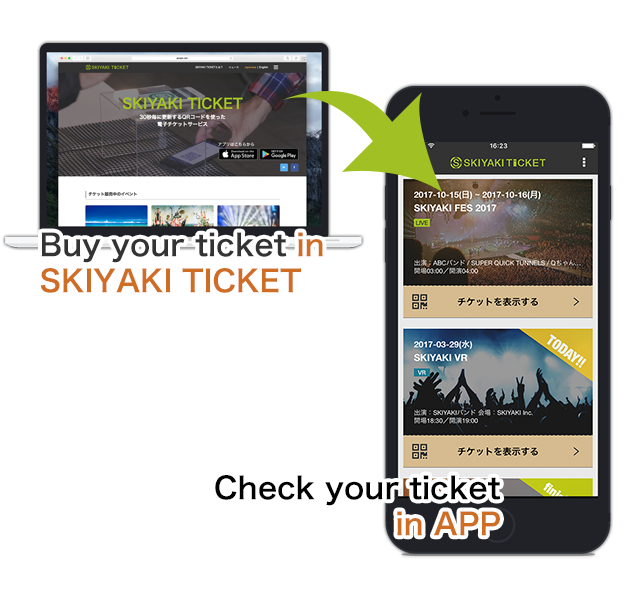 You are ready to purchase any tickets when you see My Page. 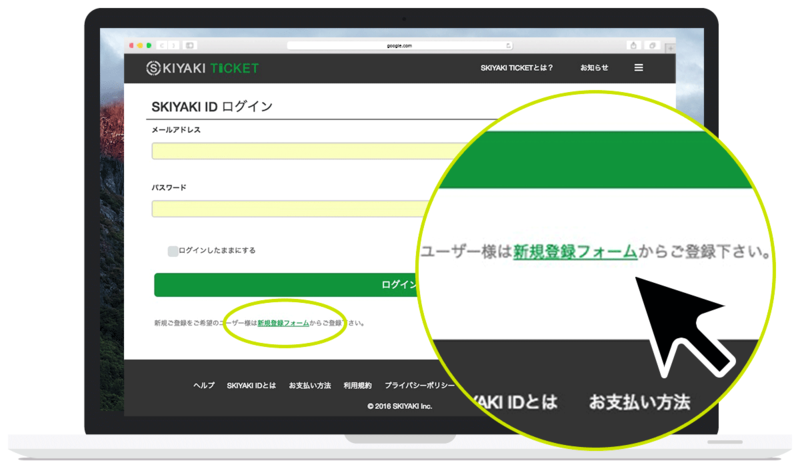 Already have a SKIYAKI ID? 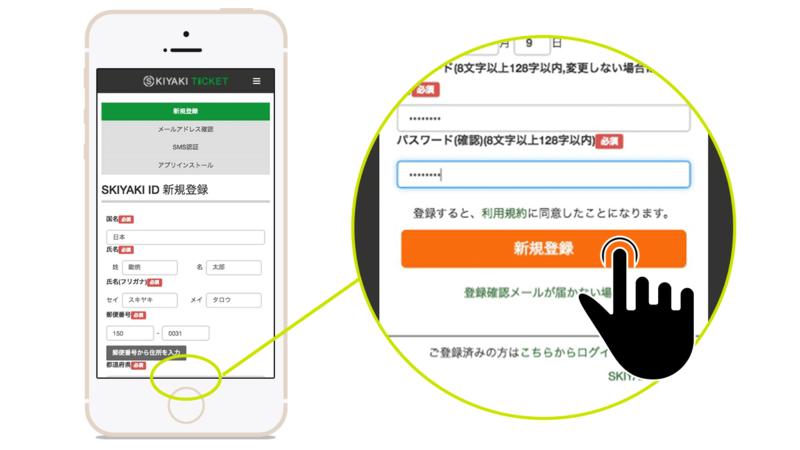 ※Go through these steps with signing in your account. Check your ticket is in My Ticket on My Page. 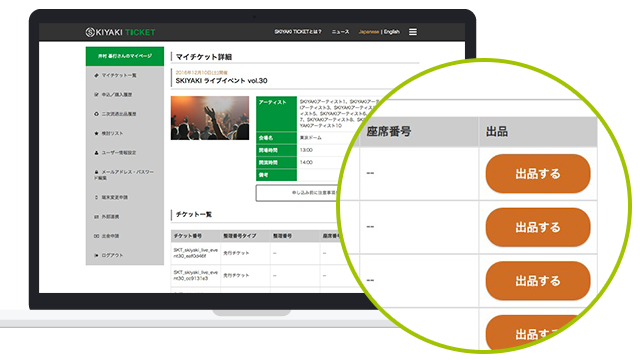 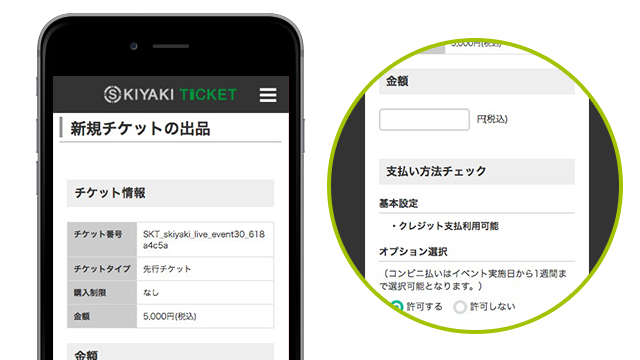 Select a want ticket from the "top page" also "Ticket List in the secondary distribution" also "event the bottom of the page." 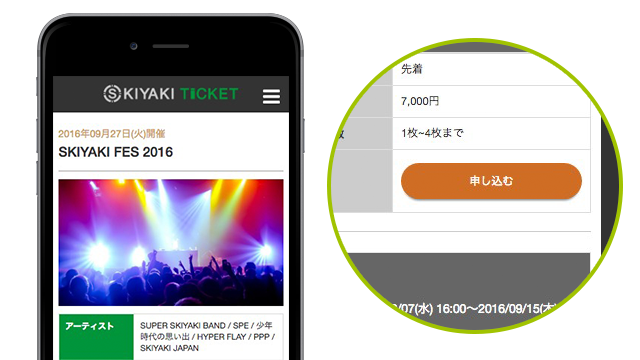 "Event Information" and "ticket information in the secondary distribution" over the confirmation, then press the "buy" button. 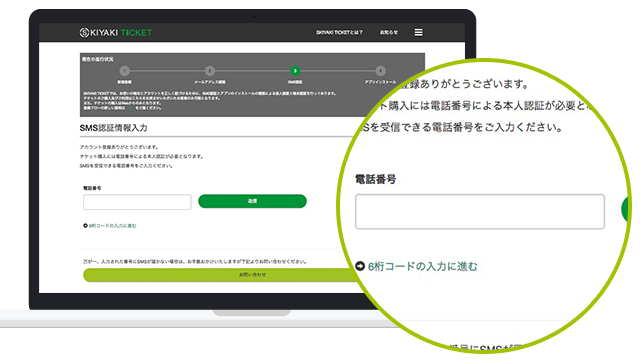 Since the settlement completion of the message will be displayed, please to display the My page by pressing the "Back to My Page". 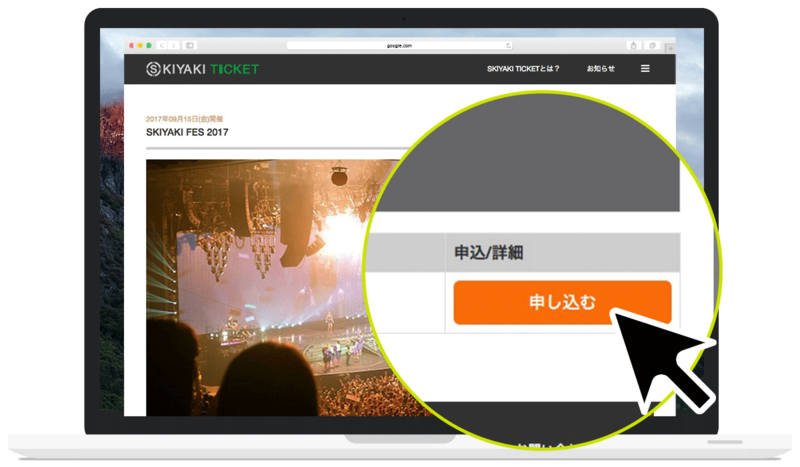 Please confirm that you have been added to the My Ticket List of My page. 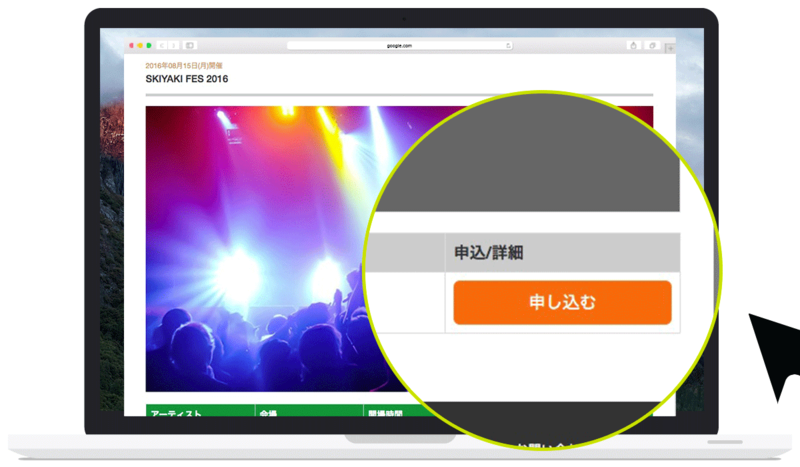 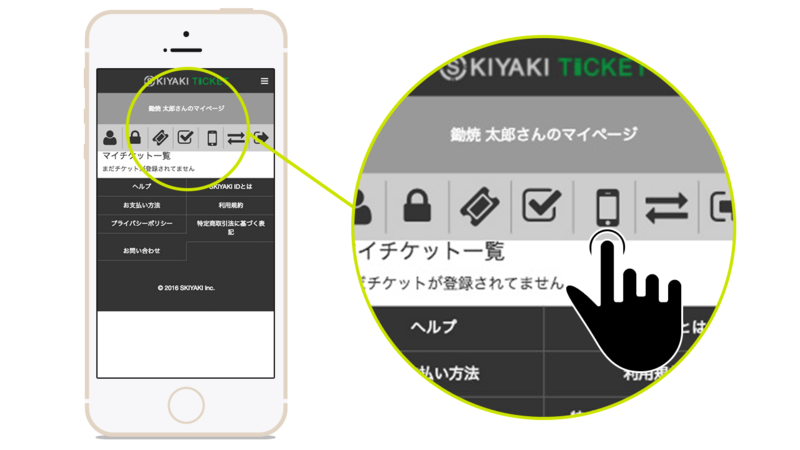 Please press the "Details" button in the event that you want to Exhibition in the My Ticket List page. 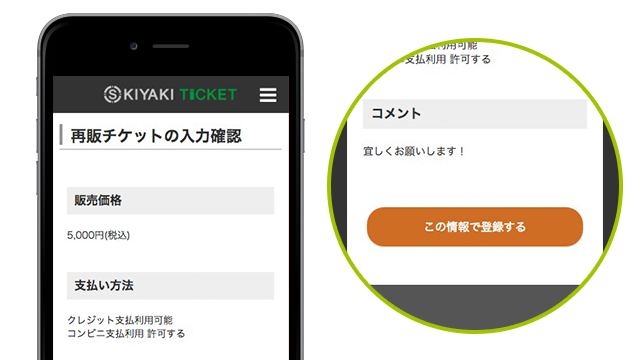 Please press the "Sell" button of the Exhibition was the ticket. 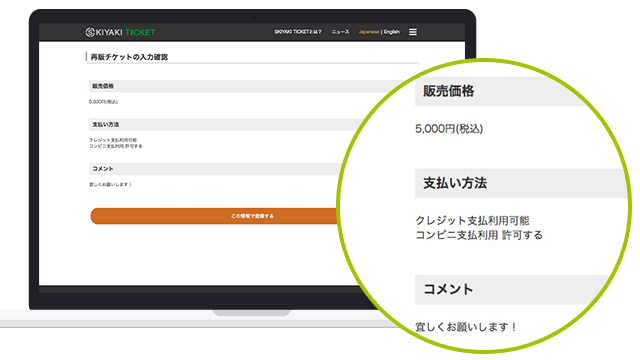 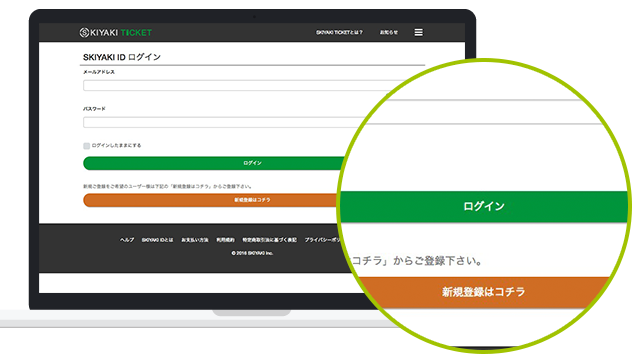 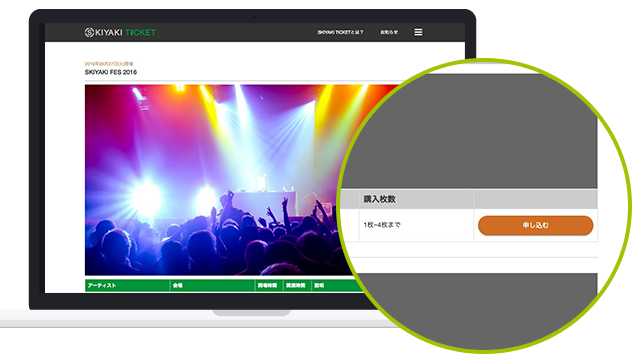 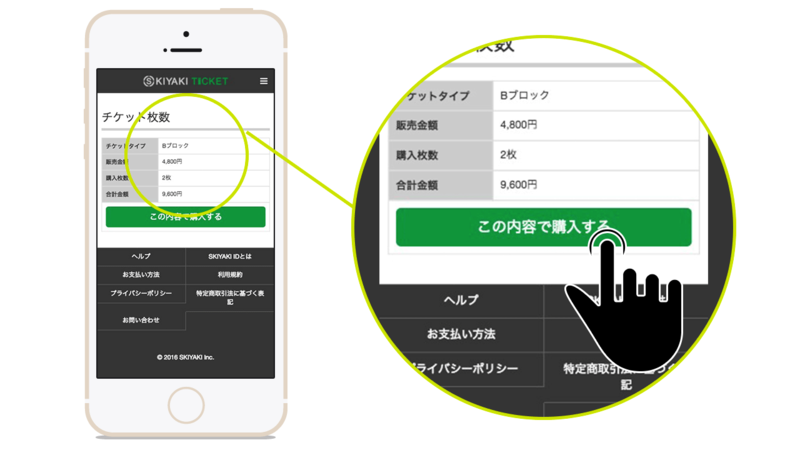 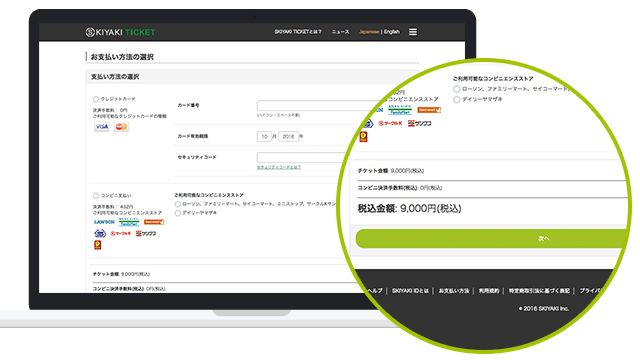 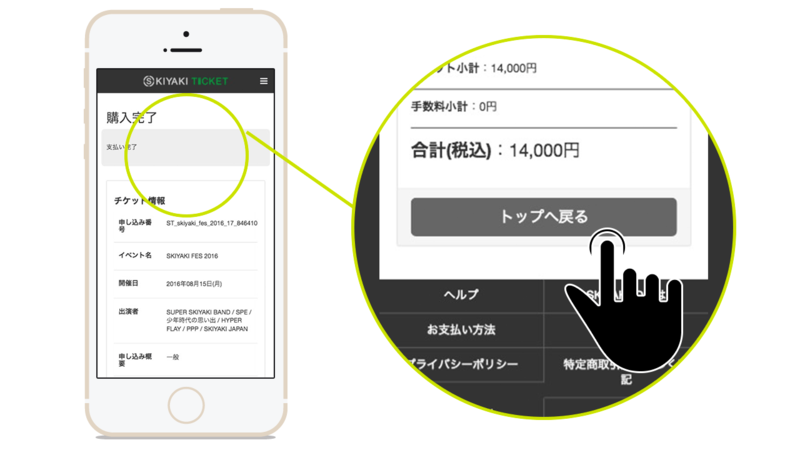 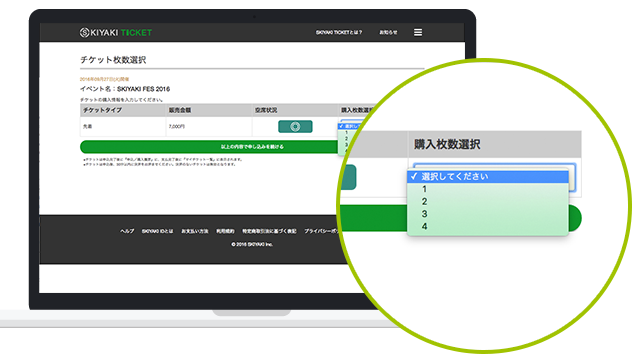 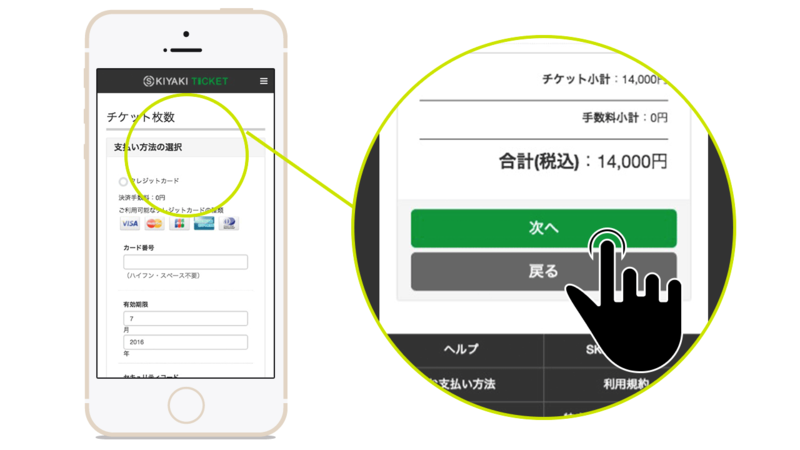 Each of the "amount of money", "payment method check", "comment", and input as well as the check, please press the "Next". 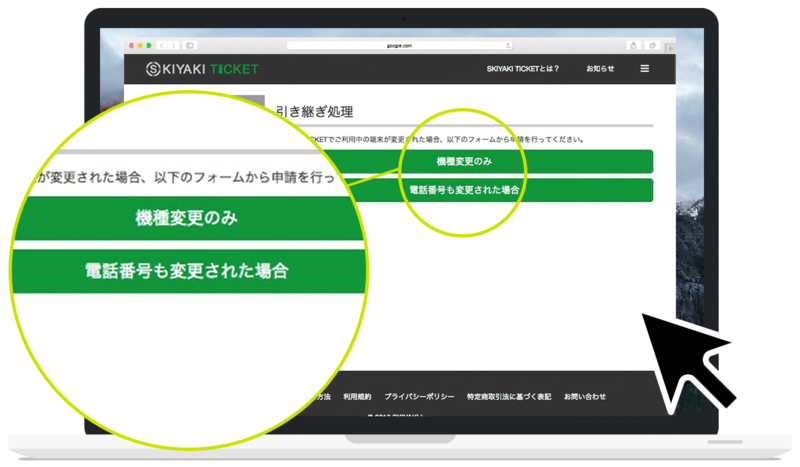 We see the selling what you have set yourself, please press the "Register with this information." 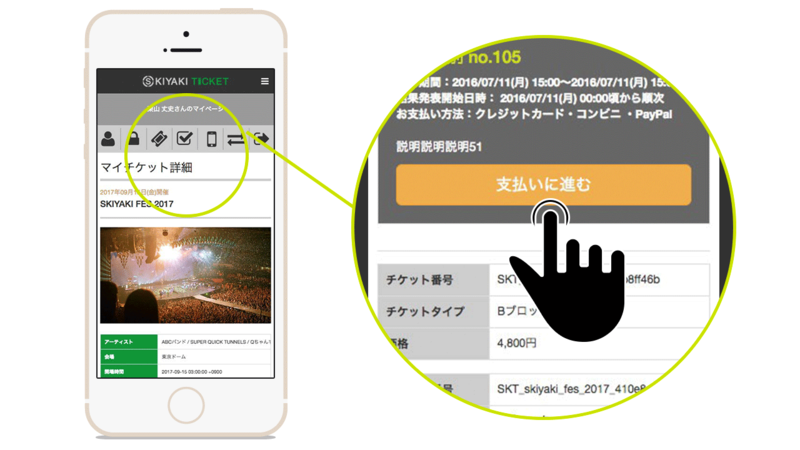 Since the Exhibition completion of the message will be displayed, please press the "Details". Within the Exhibition ticket detail page, considering the number and change, also can check withdrawn. 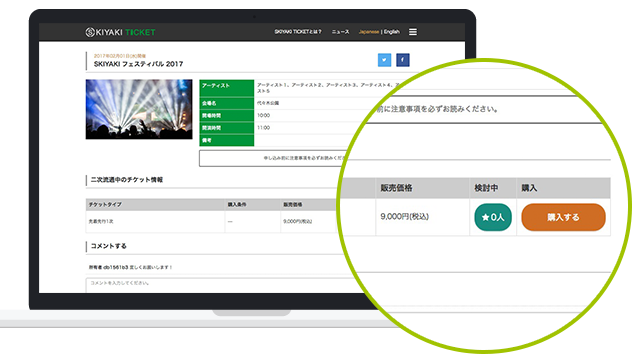 When you press the "secondary distribution Exhibition history" My page menu, you will see Exhibition history of your own. 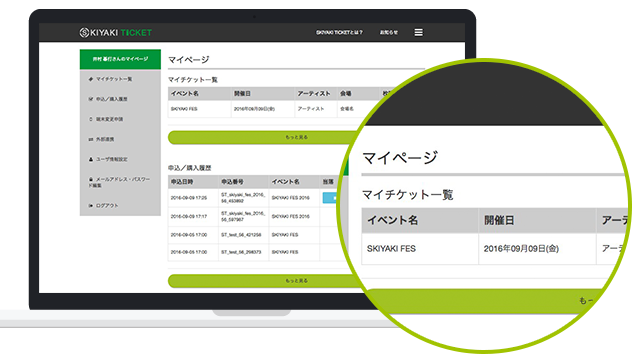 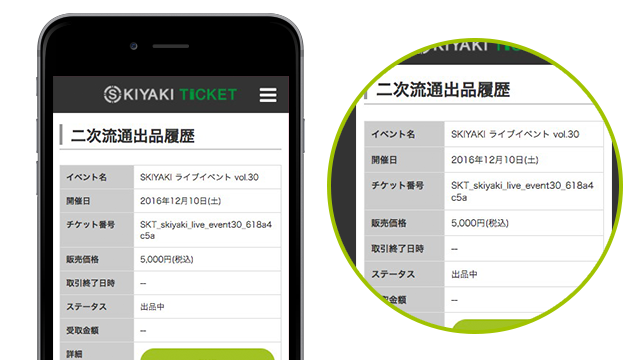 We will transition to the exhibitor ticket detail page and press the "Details" button. 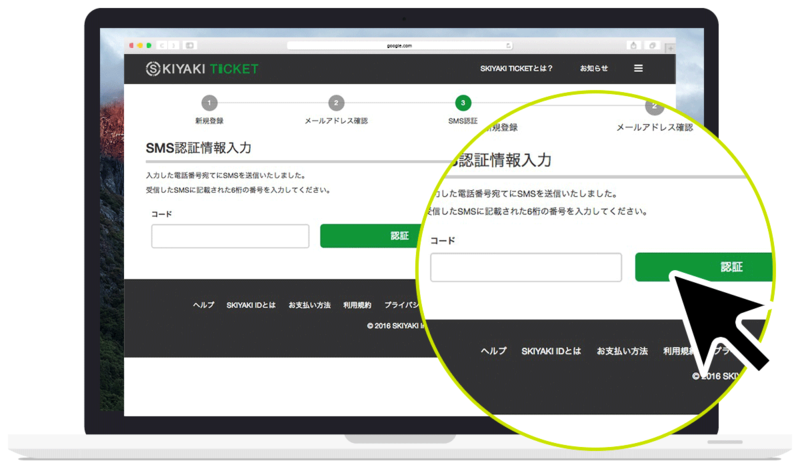 Click "Create Account" on the bottom of Sign in Page. After entered information in "Create Account" page, click "New Registration" button after agreed with the conditions. 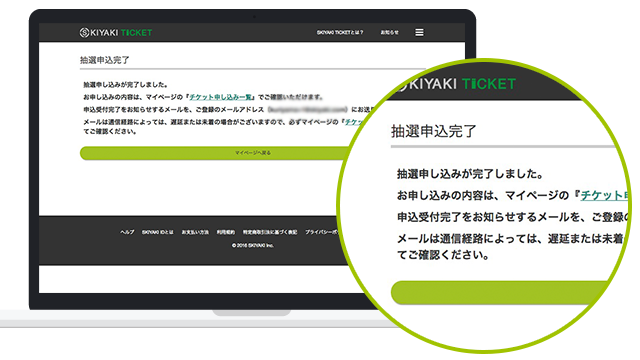 After the new registration, A confirmation e-mail you will receive in the mail address you entered. 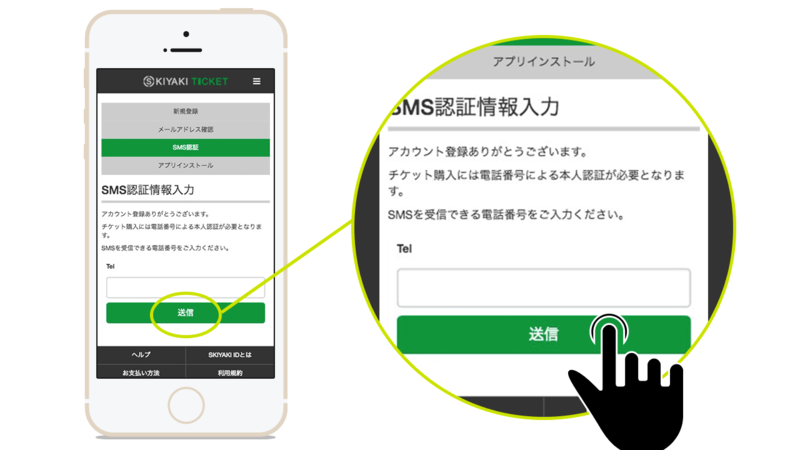 After you click the URL in the email, Please enter your phone number and click send button. 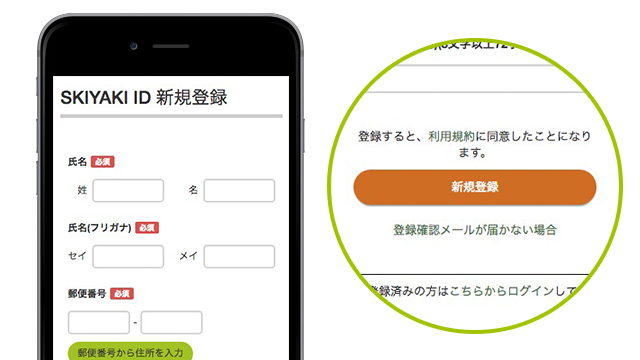 After you received email with pincode, Please enter that pincode and click authenticate button. 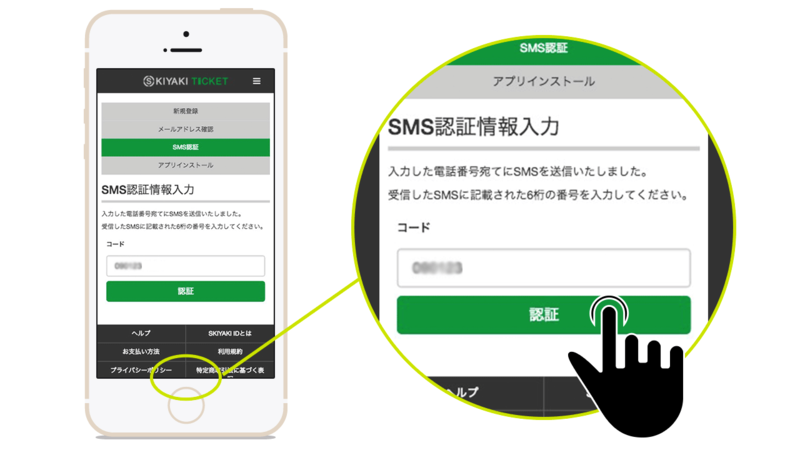 After completing SMS verification, you'll go to the page to install an App. 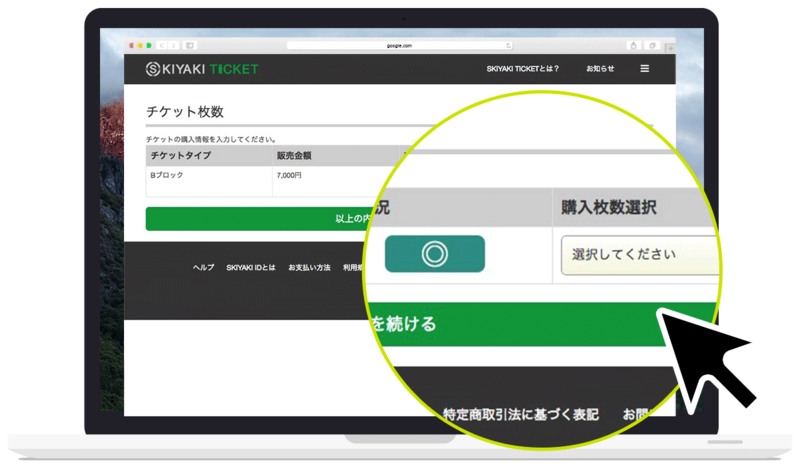 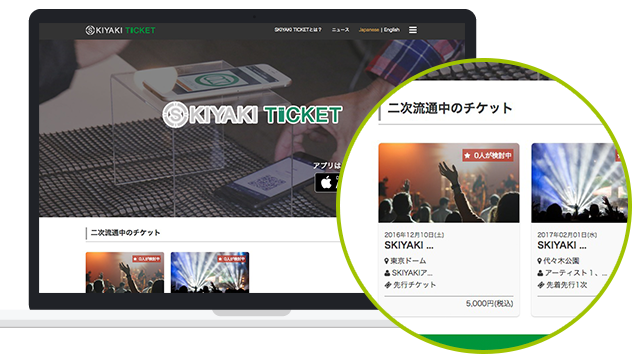 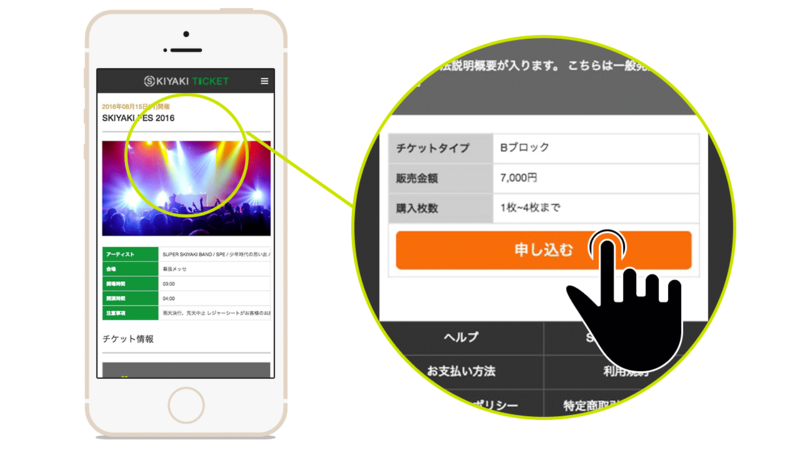 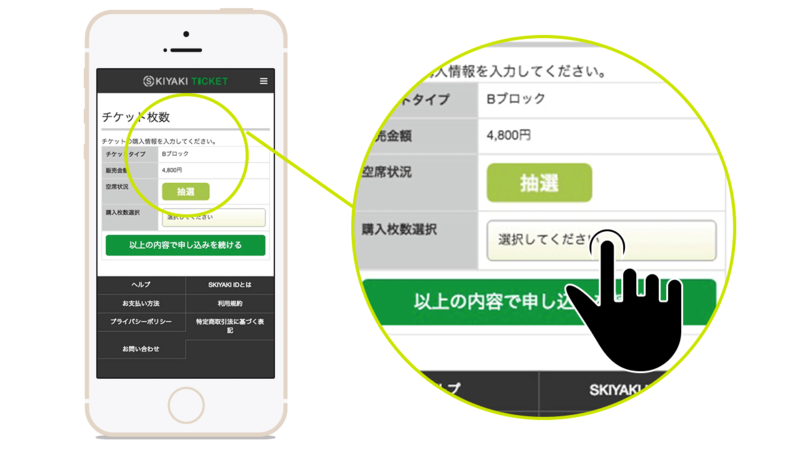 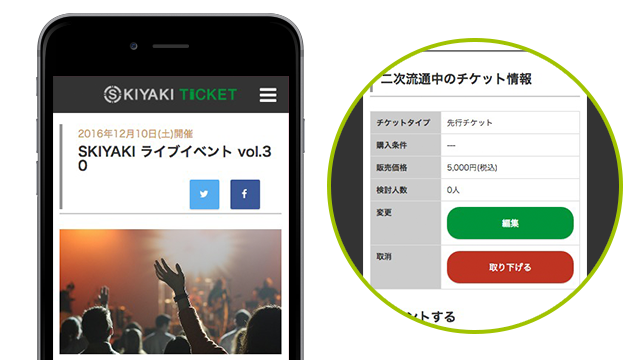 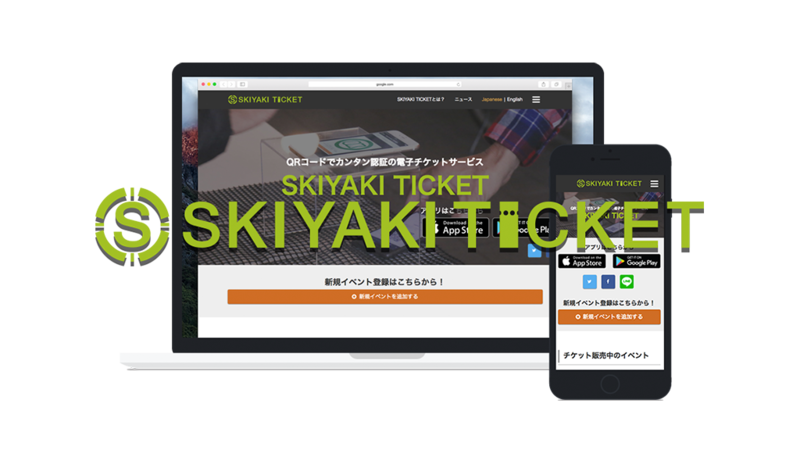 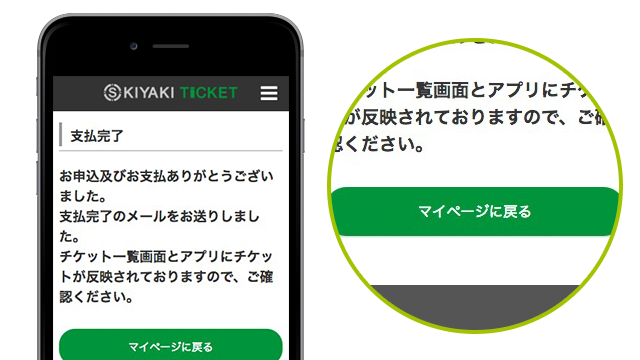 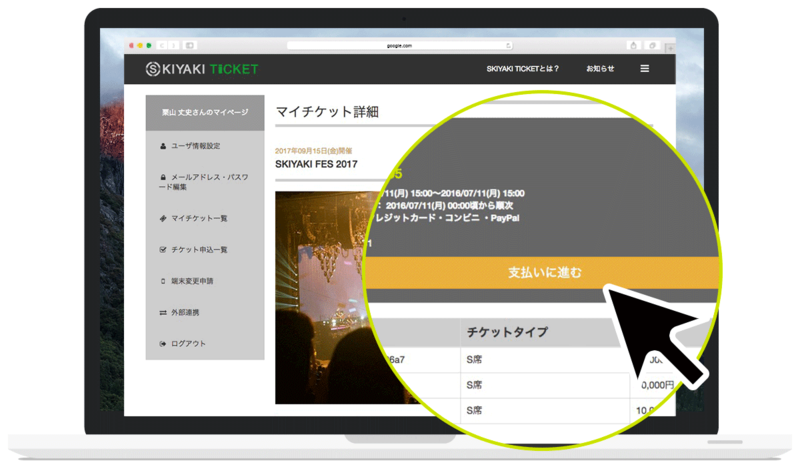 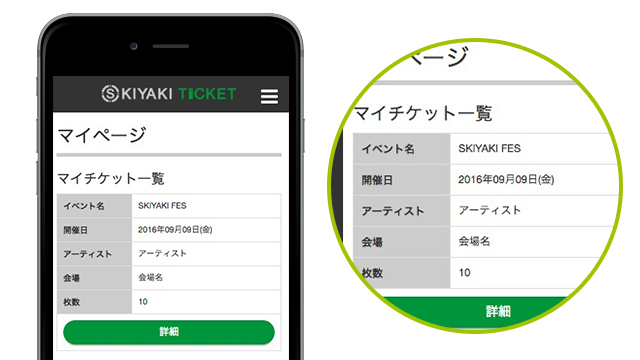 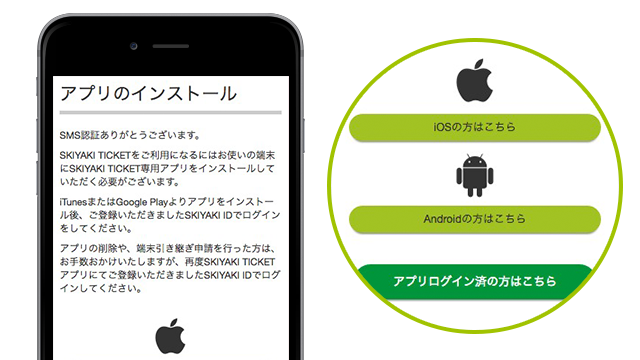 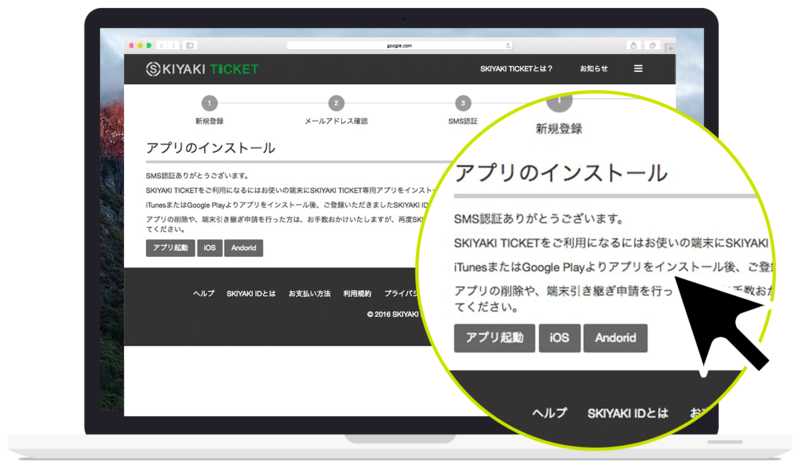 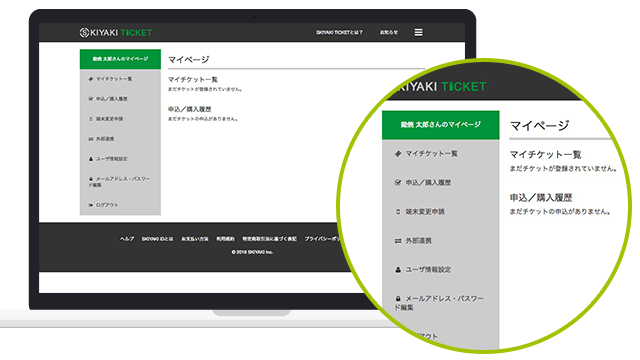 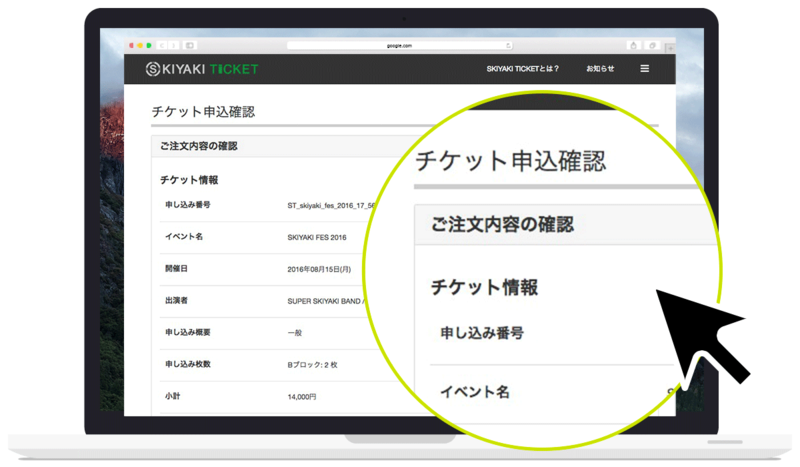 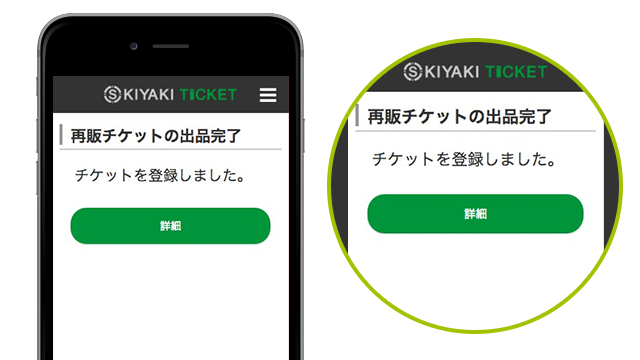 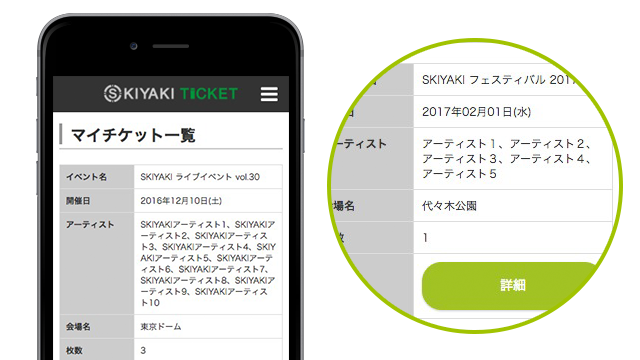 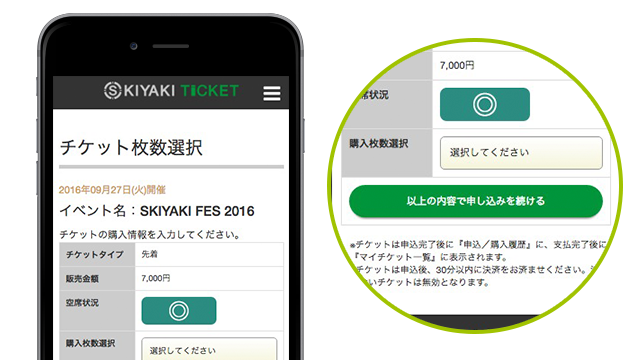 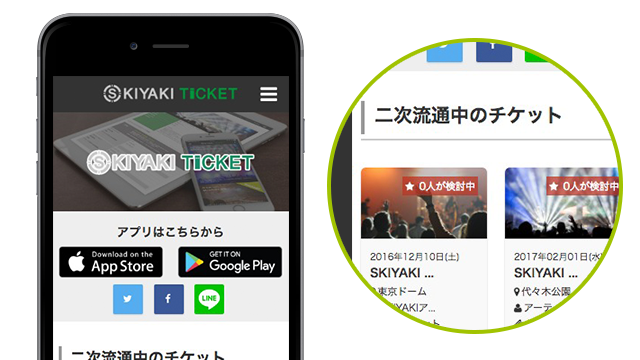 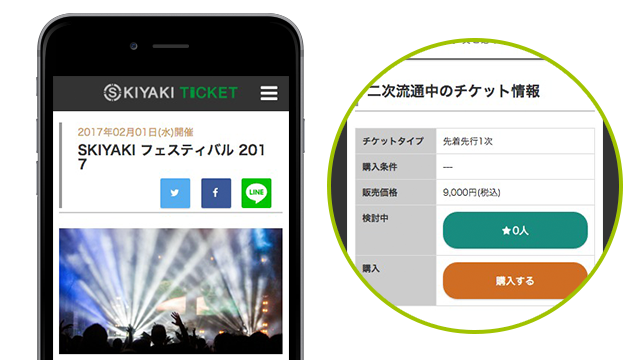 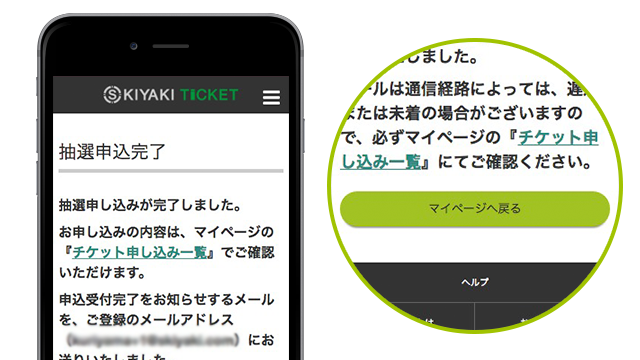 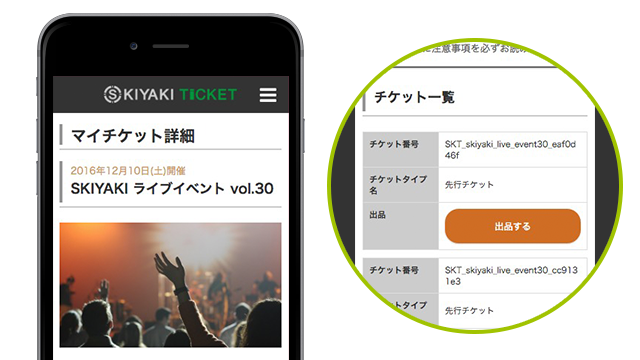 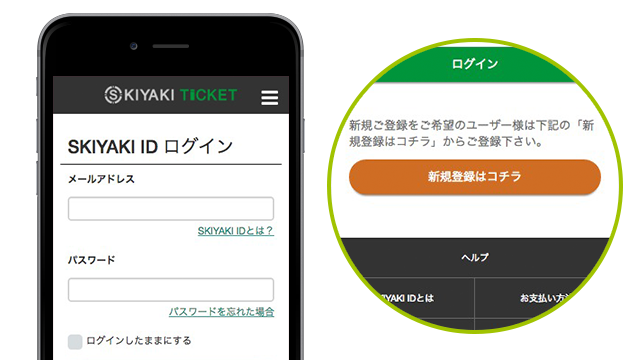 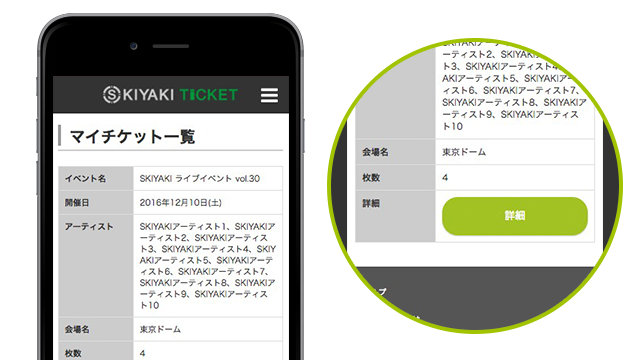 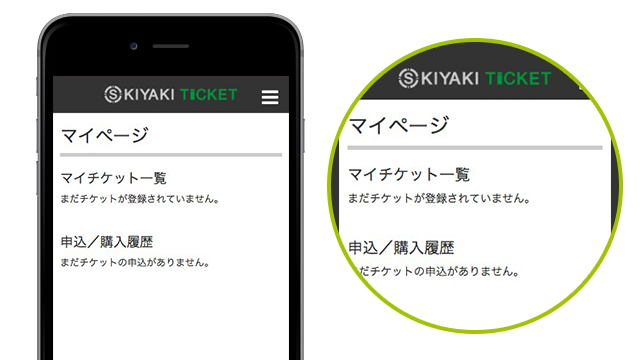 Install "SKIYAKI TICKET" app in your phone. 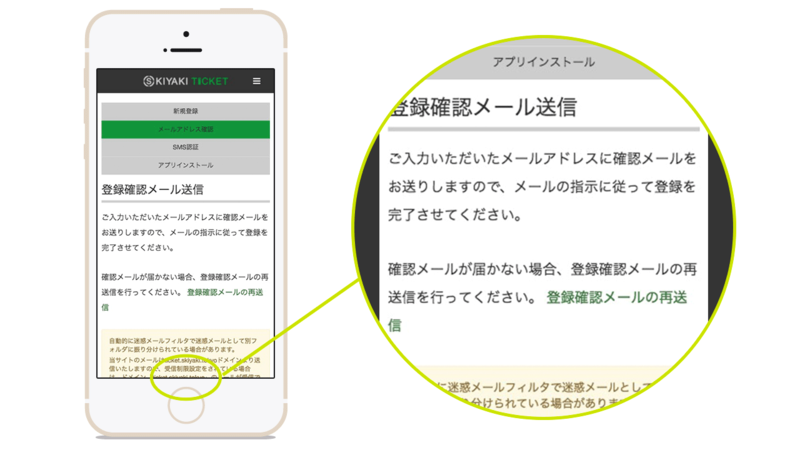 Click "Application of Device Change" in the side manu on My Page. Click the "Switch to New Device" Button on Application of Device Change page. 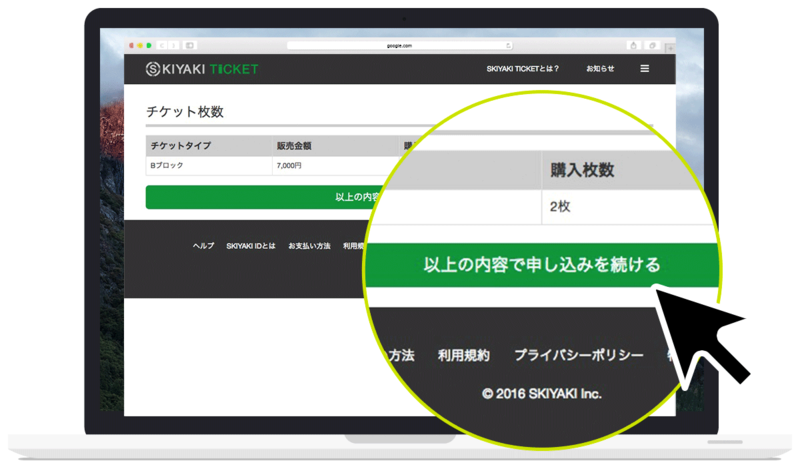 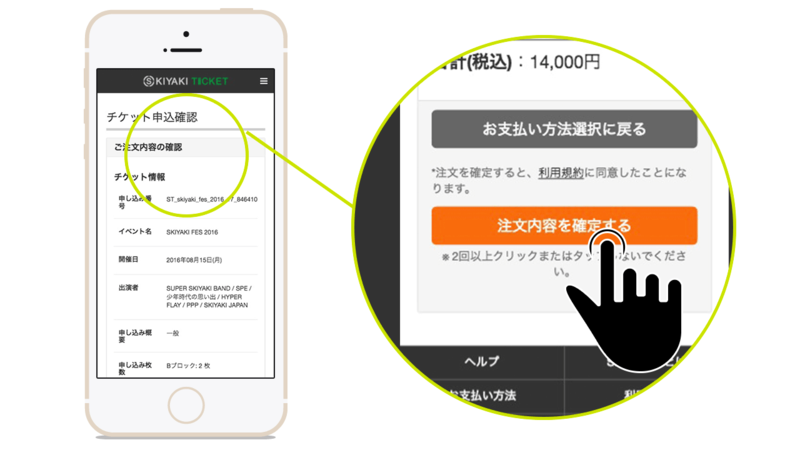 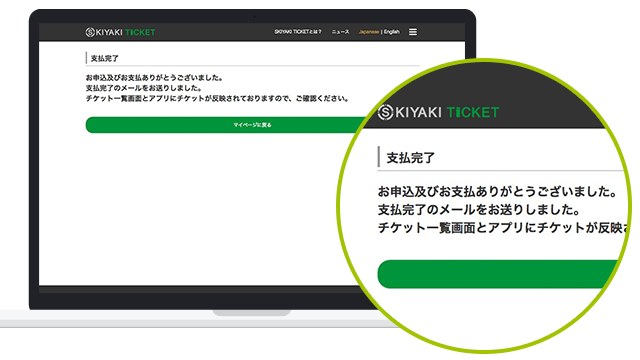 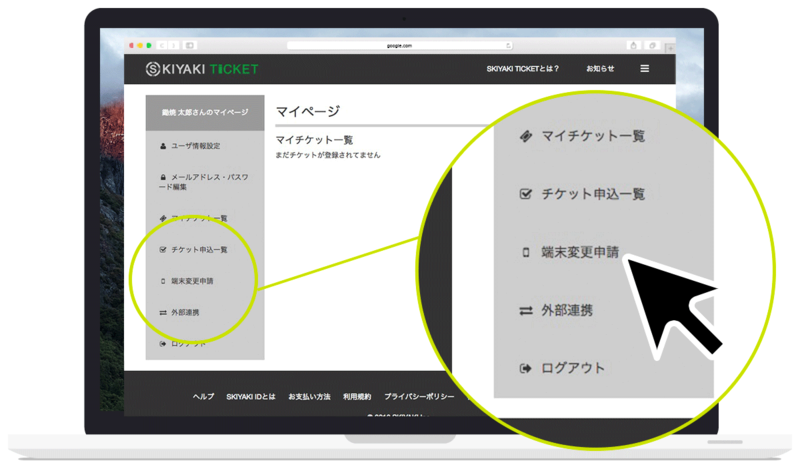 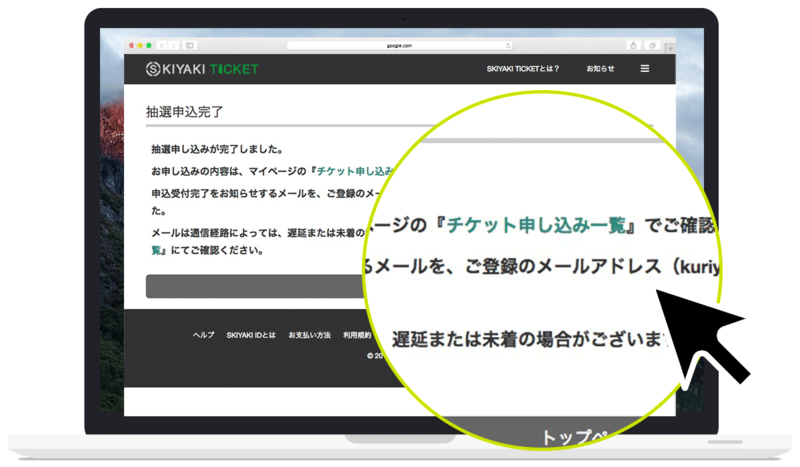 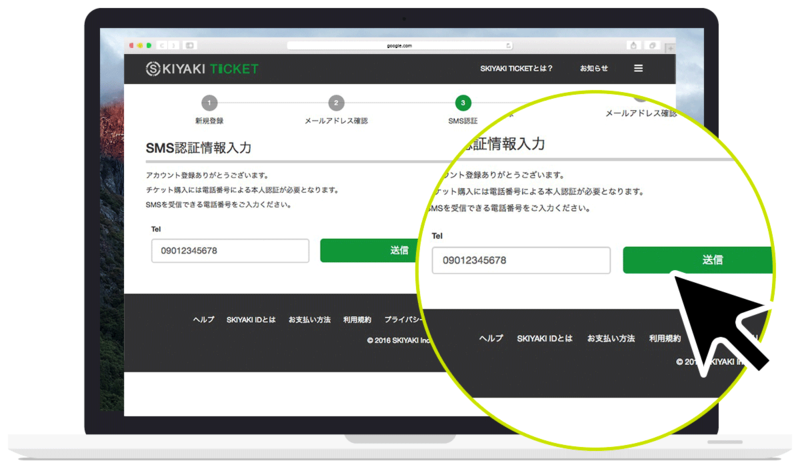 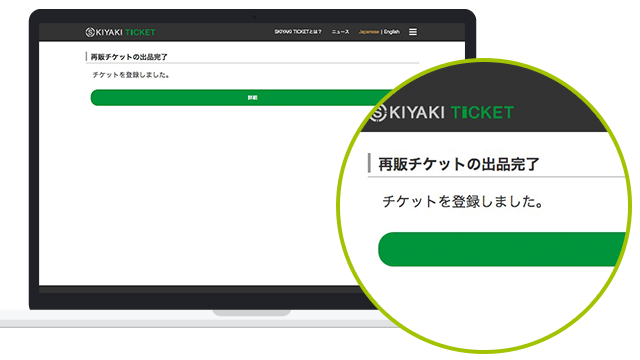 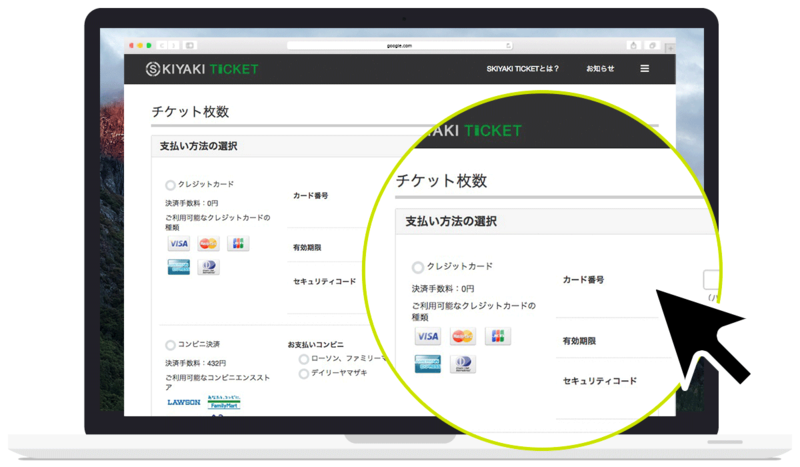 ※The secondary circulation of tickets in this service does not transfer tickets among users.Details are as stipulated in Article 7-2, Paragraph 9 of the Terms of Service, so please check.